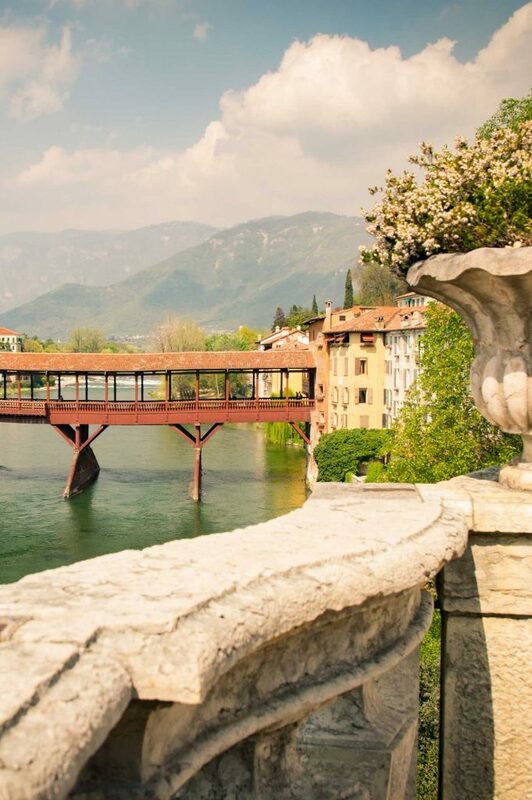 Bassano del Grappa offers beautiful picturesque landscapes from its famous Ponte Vecchio also known as Ponte degli Alpini or “Old Bridge”. It is crossed by the waters of the Brenta River. The city was established at the foot of Monte Grappa, a historical mountain of the Venetian Prealps in Veneto, even before the arrival of the Romans. It has many Venetian villas, one of which is the splendid Angarano Bianchi Michiel, designed by Andrea Palladio as well as majestic churches such as the Duomo and the Romanesque church of San Francesco as well as the eighteenth-century church of San Giovanni Battista and the church of San Martino a Campese. Of remarkable interest are the museums of the city. 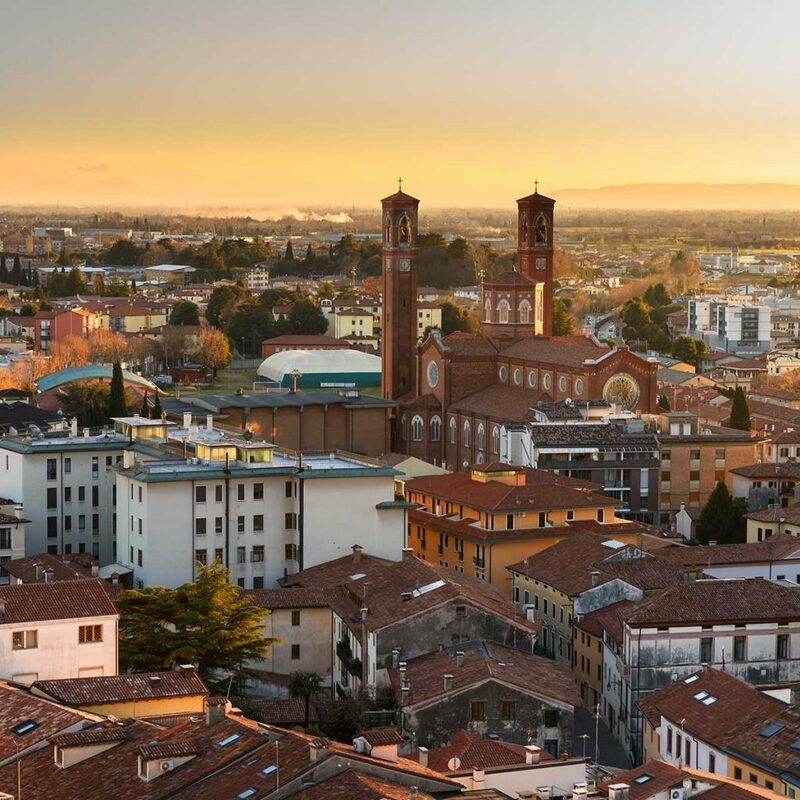 In addition to the civic museum “Museo Civico”, there is also the ceramics museum “Museo della Ceramica” situated in the “Palazzo Sturm”, the “Poli” grappa museum, the fascinating press museum “Remondini”, the Hemingway Museum and the Great War Museum. The famous Ponte Vecchio “Old Bridge”, (also known as Ponte degli Alpini) is characterized by its truss covered roof and is entirely made of wood, according to the original 1569 design by Andrea Palladio. There are a variety of typical local products. Highly appreciated in the artisan sector are the handmade ceramics of Bassano. 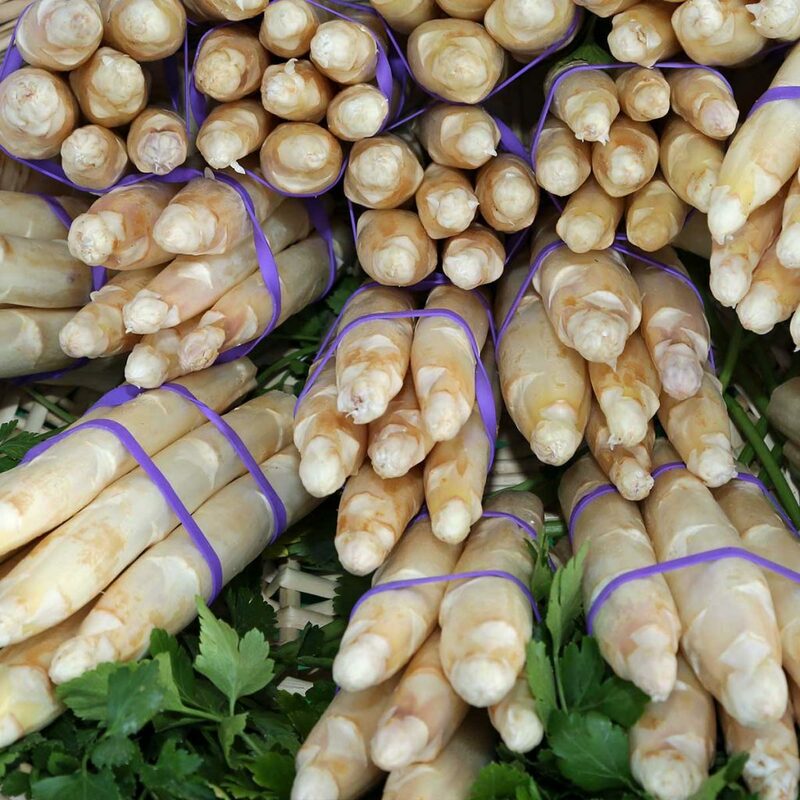 The Bassanese tradition offers an excellent selection in the agri-food sector: the white asparagus and the ”broccolo of Bassano” (which is actually a cauliflower); the spirit, Grappa, historically represented by two important distilleries, Nardini and Poli; the classic bigoli (thick spaghetti) of Bassano and the bitter of San Giuseppe. 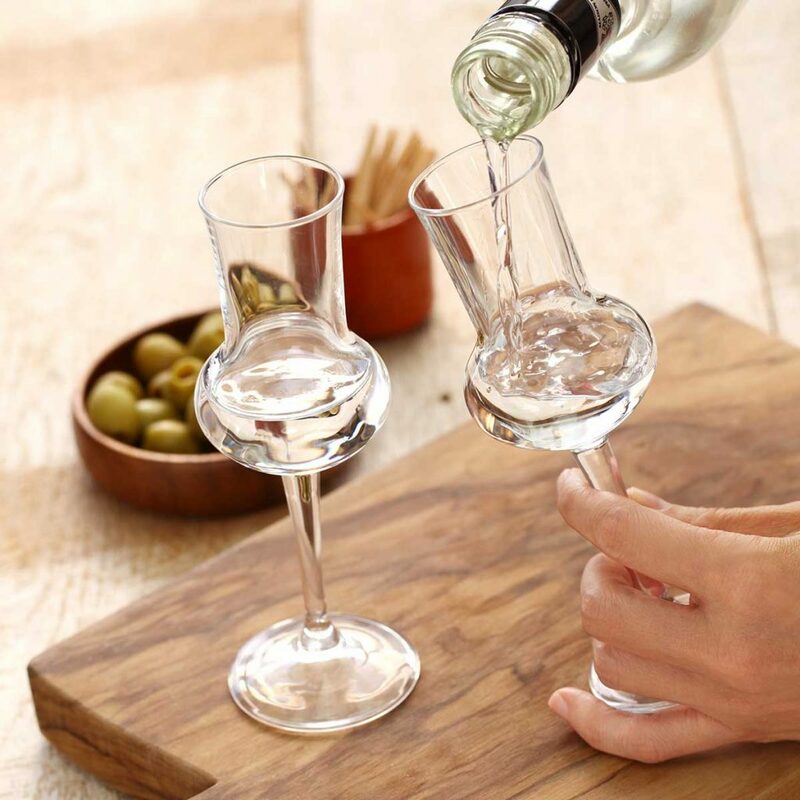 Mount Grappa is an open-air museum of the Great War, which also offers the opportunity to stock up on delicious cheese: the Morlacco, produced from the milk of the Burlina cow, the only native breed of Veneto. The civic museum “Museo Civico” of Bassano del Grappa has dedicated an entire hall to display the works of Jacopo Da Ponte (called Jacopo Bassano) one of the most original interpreters of Venetian painting of the sixteenth century, trained at the school of Titian and Giorgione. This museum is not to be missed.